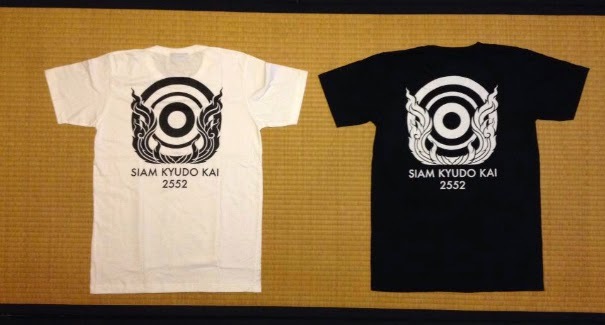 Siam Kyudo Kai: New Siam Kyudo Kai T-shirt! New Siam Kyudo Kai T-shirt! Ladies and gentlemen, a new batch of Siam Kyudo Kai T-shirt had arrived. It come Small, Medium and Large black or white at 250 THB each. You may place an order in here through Facebook page and collect at Huamark archery feild when we have practice. Start practicing Kyudo in Bangkok, Thailand.